Alright, time for some more beer travels! I've been going mostly to Houston lately, and that includes a couple of trips to The Ginger Man Pub in Rice Village. This place has a reputation for being one of Houston's top beer bars, so I had to check it out! It turns out the reputation is well earned. 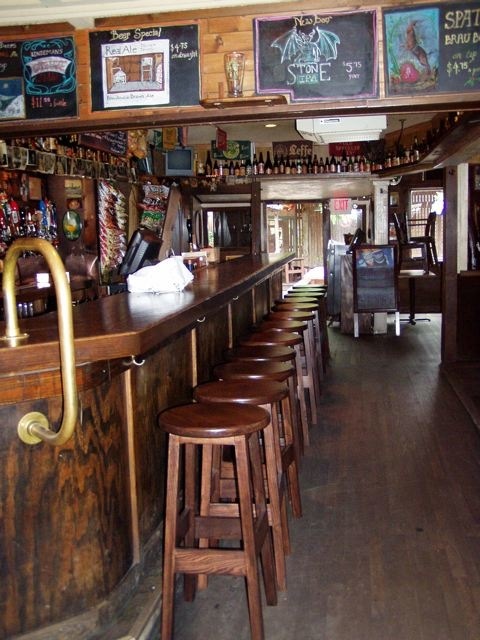 There is a large bar with a great assortment of taps, and plenty of seating inside and outside. The Ginger Man Pub concept has multiple locations now, but Houston was the original, so it was definitely the best one to check out first, right? The first trip was around 7 on a Friday night... and I expected the bar to be a little more crowded but Mandi and I met up with my old roommate Chris and his wife Emily and grabbed a table near the back of the bar with no problems. They had a cask of Dogma on hand from BrewDog especially for American Craft Beer Week, but unfortunately I had tried that one before! That didn't stop me from trying it again later, but I started off with a new beer to me, the Live Oak (@liveoakbrewing) Liberation IPA out of Austin, TX. While I was trying that one out Mandi went for a Shiner 102 Double Wheat from the Spoetzl Brewery (@shinerbeer) and we switched out... always nice to have a drinking buddy to help me try all of these new beers! 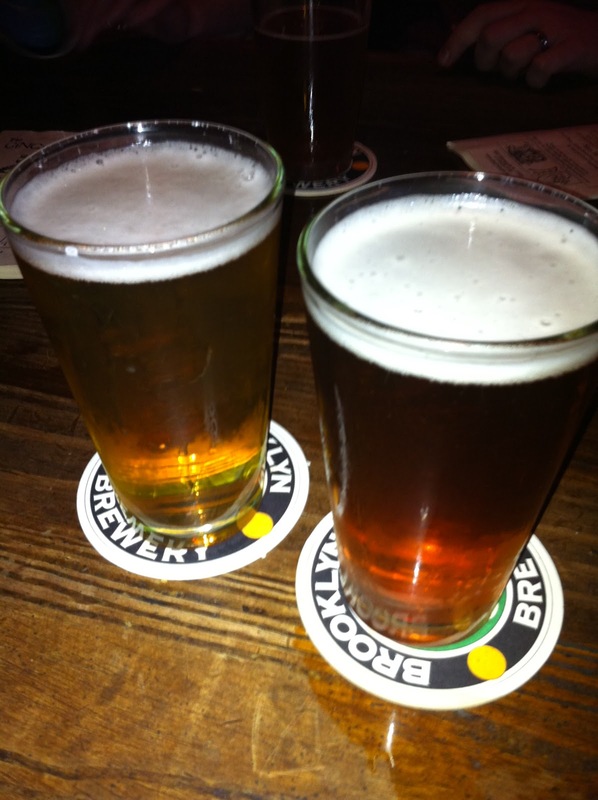 From there I tried a (512) IPA and then the Dogfish Head Brown Ale, both very solid beers. (512) Brewing (@512brewing) is out of Austin, hence the area code, and Dogfish Head (@dogfishbeer) is of course the super popular craft brewery out of Delaware. After those two I went for a canned craft beer because I was all out of new draft beer options. That meant it was time for Ska Brewing Modus Hoperandi IPA. 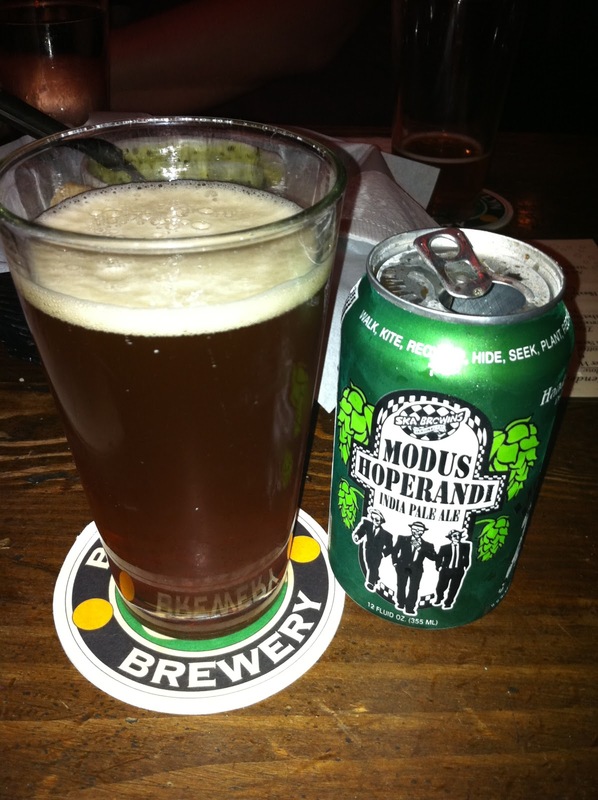 Ska is a brewery out of Durango, Colorado that has embraced the movement to canned craft beer. I've had their beer in bottles before, and on tap since, but it's still nice to see more breweries go towards cans as an option. Eventually the place filled up and started to really get loud, but it was never jam-packed like some bars get. We also tried the "Beer Companion" meat & cheese & fruit plate which really hit the spot to add a little food to the stomach along with all the liquid bread. More recently I went back with the same group on a Sunday afternoon... it was mostly empty but still was open after lunch on a Sunday, so props for that! This trip was just for a pint each after lunch, but Emily was kind enough to let me try her Ommegang (@breweryommegang) Rare Vos ale so I could count it on the list! I went with a Brooklyn (@brooklynbrewery) Blast Pale Ale, Brooklyn Brewing's double IPA which I absolutely loved. This was definitely one of the best DIPAs I've tried recently and would highly recommend it to anyone who likes their beers hoppy. And now, after two trips to The Ginger Man Pub in Houston, I can say that I'll be back. 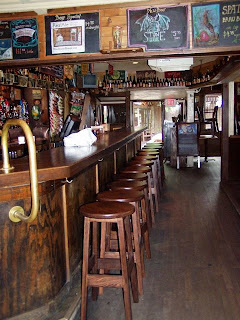 It's a perfectly sized beer bar with the right ambiance and character to add to the beer drinking experience rather than take away like some places tend to do. I've experienced really good service both at the tables and at the bar on both trips, so I look forward to even more pints (and cans) of good beer! Bro, nice post. The Dallas Ginger Man is a favorite, and clearly lots of good options. I tend to be a Spaten Oktoberfest kind of guy when I'm not trying other recommendations. Anyway man, if you're ever up here or we're in Houston at the same time, we'll hit it up. I'm buying. I'm in Houston a good bit these days visiting the girlfriend. I'll be sure to let you know the next time! Either 3 or 4 weeks from now, to be determined still.